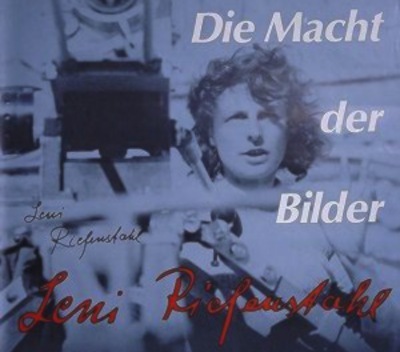 Ray Muller's three-hour documentary The Wonderful, Horrible Life Of Leni Riefenstahl profiles the director of the Nazi propaganda film Triumph Of The Will. Muller addresses the persistent accusations of Nazism made against Riefenstahl, though he also explores her entire life's work. Riefenstahl's film career began when she starred in The Holy Mountain, by Arnold Fanck. This silent film, set on a mountainside, was one of several 'Bergfilme' ('mountain films'), a genre created by Fanck. Riefenstahl became a star, though her image was adventurous and athletic, in contrast to Marlene Dietrich's predatory sexuality. In a more significant contrast between the two icons, Dietrich emigrated to Hollywood after Hitler's rise to power, though Riefenstahl remained in Germany and directed Triumph Of The Will, a documentary film of Hitler's 1934 Nuremberg rally. Triumph Of The Will is a masterpiece of editing and visual composition. Like The Birth Of A Nation, however, it's a masterpiece with an unredeemable reputation: it was commissioned by Hitler, and used as propaganda by the Nazi Party. Riefenstahl herself visited Hitler regularly, until as late as 1944, and sent him a congratulatory telegram after his invasion of Paris. In Muller's documentary, she revisits the rally venue, and admits that she regrets making the film, though she doesn't accept any responsibility for the political power of her work. Olympia, Riefenstahl's documentary of the 1936 Berlin Olympics, provoked accusations of an obsessively Fascist aesthetic. Her documentary, released in two parts, celebrates the beauty of the athletic body. She would face similar accusations when she photographed the Nuba tribe in Sudan. Tellingly, in Muller's documentary, she explains that she was attracted to the Nuba as a subject because of the muscularity of the tribespeople. Riefenstahl, who was ninety when the documentary was filmed (and 101 when she died), was also an expert diver, and for Muller's film she posed underwater with a giant stingray. Muller's title - The Wonderful, Horrible Life - captures the contradictions in Riefenstahl's work: a skilled documentarian and photographer, who was permanently associated with a brutal dictator. In the final sequence, Muller gives her a last opportunity to apologise for her political associations. The documentary ends with her characteristically assertive answer: "I was never anti-semitic and I never joined the Nazi Party... So where does my guilt lie? ".